With just a few short weeks to go before kick off, Senior Managers are juggling their diaries and confirming their place on this very special panel. The crux of the event is affirmation of the confidence and talent the Growing Talent Associates have grown over the week. A choice is given to work alone or in small groups. The remit is to devise a social enterprise idea which will benefit a section of the community, develop a revenue stream and have development potential. A tall order for largely unemployed people with little self-confidence. Working on this largely in their own time with one full day (broken into shorter segments) it’s amazing to all, including the Associates, the confidence with which they deliver their ideas. It’s always difficult for the senior managers to select one winning idea. The small trophy has now been replaced with a cash prize of £10 per winning Associate – much more useful that a ‘tin cup’! After this a buffet lunch and networking takes place. By this time some of the Associates are really ‘assertive’ in getting contact details from the panel! Watch this blog for more stories of success, laughter and a few tears when the next Growing Talent launches later this month……. 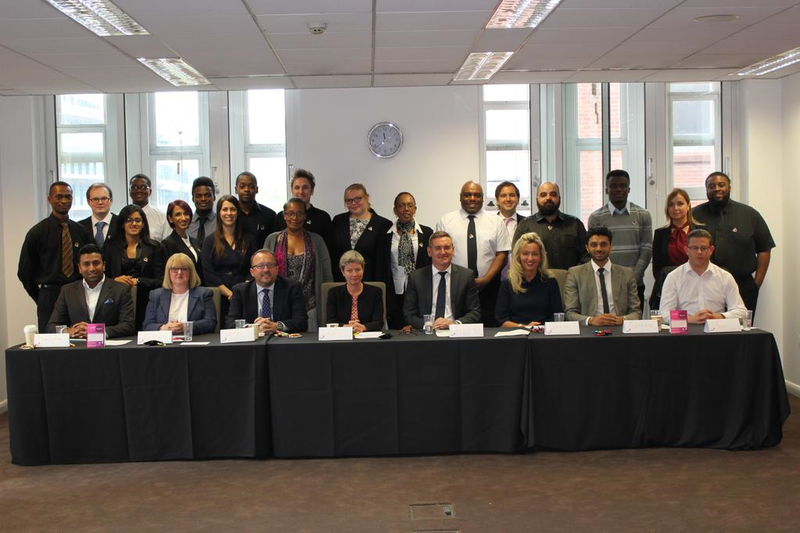 Seated – the previous judging panel comprising Selvan – Invest In Buy To Let, Julie – Portico, Peter – Wilson James, Lois – MitieTDM, Allen – PwC – Head Judge, Sharon – Harrow Green, Shane – Invest In Buy To Let & Trevor – known by previous Associates as ‘the legend’ Harrow Green. Previous Growing Talent – Keeps Growing!